Your soul immediately finds inner calm by the sight of the fjord, smooth and blue, surrounding the small island. The ferry welcomes you and brings you from the mainland to the landing at the southern end of Venø. Two minutes is what it takes to feel the unique atmosphere. From here the road leads you north and the landscape reveals salt meadows, wide green fields, heath plains, and fragrant rosehips along the road. Steep cliffs which the hang gliders love to visit, and wind-swept trees, which have abandoned every single twig towards the west, bear witness to the fact that the wind can be extremely rough. All the time there is this special light across the island as a consequence of being surrounded by water everywhere. This is really a small island. Only 7,5 kilometres long, and 1,5 where it is widest. Even the church is small – the smallest in Denmark, not even 10 metres long and without a church tower. Therefore it is a tourist attraction all year, and especially so at the sunset concerts in July. Another art experience would be to visit the local Venø Gallery, a working gallery with paintings and graphic works. 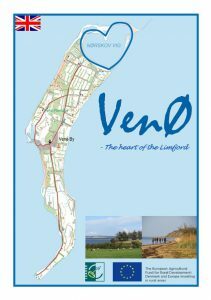 Venø appeals to outdoor activities: lovely walks and bike tours, or a guided tour on the local bus. For many children from the mainland the two scout camps and the summer experiences there will be remembered with joy. The beaches of the island are wonderful for kids with fish nets, buckets and crab catching lines. To the very north the inlet, Nørskov Vig, secures the quietness for a number of avocets and terns in the breeding season, and provides a fine lay-by for goldeneyes and the duck species Mergus merganser. Along the coast one may catch sight of seals. When hunger crops up Venø has its own local specialities: potatoes and lamb – plus the famous Venø steaks – all this can be savoured at Venø Inn situated in the village of Venø with a magnificent view of the fjord. Close by you’ll find “Venø Café and Kiosk”, a shop and café with coffee or a cold beer and a sandwich. And if you are fond of shell fish it is a must to taste the famous “VenOysters” – a produce of Venø. No doubt, a whole day’s experiences outside has left you in a state of tranquillity and relaxation. Having enjoyed the sunset you are now ready to turn in at Venø Campsite, in a rented holiday house, or room in a privately owned house. Throughout centuries this small agricultural piece of land in the Limfjord has attracted artists as well as cultural personages – and it still does. 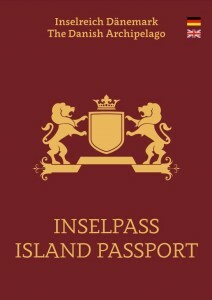 There are about 200 residents on the island and the continuation school attracts 100 pupils every year. The many visitors bring back memories from earlier visits. Mobile tourist guide with practical information, trails and treasure hunt. Venø – worth a visit!